Poly V belt is widely used in automotive gasoline accessory drive system. The FEAD belt vibration usually brings boring noise radiation from the front end of engine and easily causes belt fatigue failure. 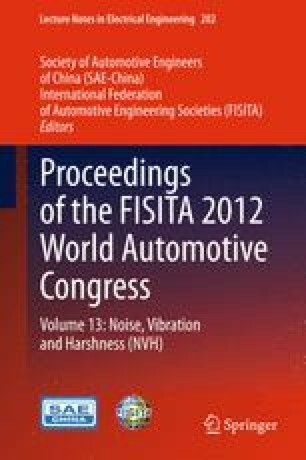 The reasons and influences on the excessive transverse vibration of the FEAD belt are investigated. By the test and simulation analysis, the belt vibration can be controlled by using OAD or modifying the layout of accessory drive or lowering the torsional vibration of the cranktrain.